We support a variety of local organizations who give support to our community. 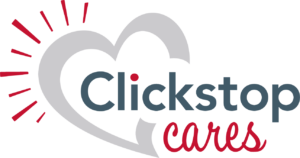 We enjoy working with community outreach to satisfy the goals of Clickstop Cares. We also work with individuals who have fallen on hard times and are looking for short term assistance. Visit our Request Services page to download an application for assistance. We have a variety of events we host and support through the year. Below is a list of events we assist in. Holly Jolly Christmas is our biggest event. We work in coordination with our Clickstop employees to provide Christmas for families in our area who are less fortunate during the holidays. We take in applications for families and hand deliver needs and wants to each family before Christmas to ensure they have a great Christmas celebration. In 2018 we provided Christmas for 13 families totaling 54 people! Graduation Assistance- We work with Benton County Decat to give assistance to graduating High School Seniors.